This is a view of Pratt Dam near or AT flood stage. 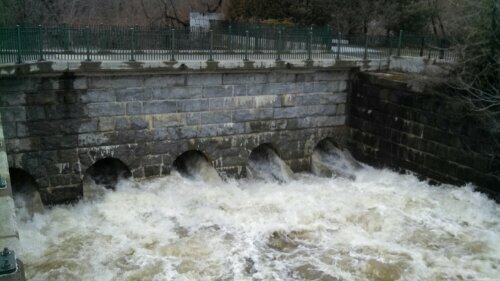 I often run along the Blackstone Bikeway and enjoy watching the river cycle through the seasons. The power of the river today was impressive. There were a few spots along the bike path where you could see the river had overflowed it’s banks. Flooding was not bad and went back down within 24-48hrs.